Strengthening the capacity of local health services and professionals is a major priority for the Foundation, so that the professionals can meet the ocular needs of the population in their territories. 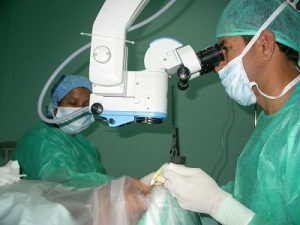 This initiative is carried out one of two ways: by moving expert ophthalmologists to local areas for training projects, or by organizing specialization courses through videoconferencing and/or granting study scholarships so that general practitioners, ophthalmologists, instrumentalists, and optometrists can complete their training. 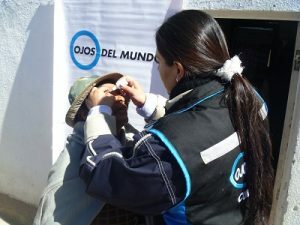 The Foundation organizes campaigns and educational programs for the promotion of eye health with the objective of educating local communities about the importance of ocular hygiene, the detection and early diagnosis of diseases, and the referral of patients to health centers when necessary. We also carry out eye exams among minors and conduct studies on the incidence of the main pathologies in certain environments. Successful early detection could prevent thousands of people, without economic resources, from going blind. 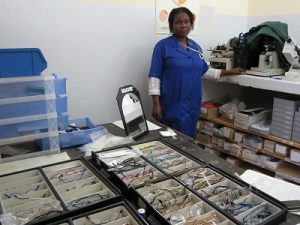 Eyes of the world brings medical materials, equipment, and replacement supplies to health centers and public opticians to create complete ophthalmological units for both consultation and intervention. It also launches optical workshops that provide access to low-cost glasses for people with fewer resources who suffer from visual deficiencies due to uncorrected refractive errors. Eyes of the world periodically sends medical-surgical commissions, made up of expert ophthalmologists, anesthetists, instrumentalists and optometrists, to visit people with visual impairments and to intervene and treat patients with ocular pathologies that require care. 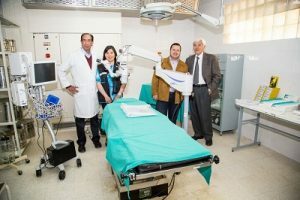 In collaboration with local authorities and other cooperative entities, the Foundation works to improve the organization of ophthalmological health in the countries it operates. 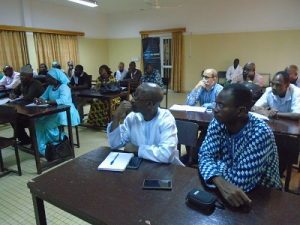 It does so by promoting self-management, so that health officials in each territory are responsible for the eye care they provide, as well as promoting the implementation and follow-up of national ophthalmology plans in areas that do not have them. Eyes of the world discloses the ophthalmological reality of the territories in which it develops cooperative projects, and promotes reflection and awareness among the public regarding the ocular health needs of thousands of people in the world. 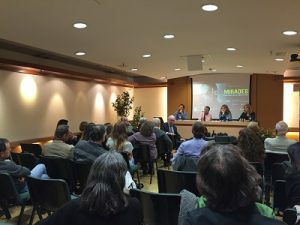 This is done through photography exhibitions, and participation in dissemination talks, round table discussions, and professional forums. The Foundation also encourages the commitment of citizens to actions aimed at increasing the number of people associated with the Foundation.